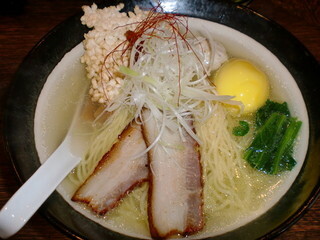 The soup is based on both chicken and pork. 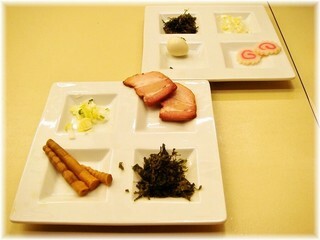 The restaurant also does monthly specials. These hearty bowls are loaded with sliced cha-shu pork. 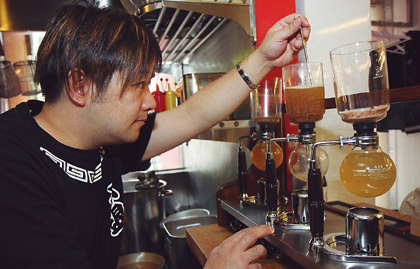 A very unique concept where the soup is dispensed from a siphon and the toppings are served separately (see photos above). 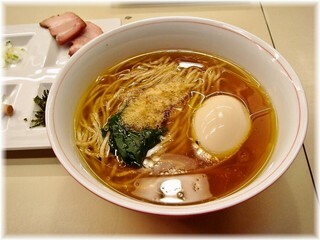 While I prefer to have my ramen assembled by the restaurant (the whole reason for going out to eat right?) it is a curious concept and one I imagine brings in a lot of customers. 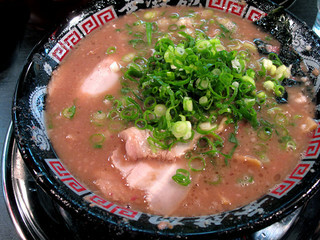 The soup is a W or a blend of two types, seafood and chicken and includes kombu dashi. With branches throughout Japan this is the first shop in Tokyo. 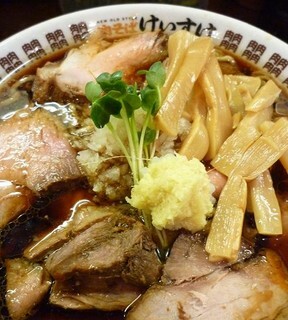 Muteppou is known for its rich tonkotsu (pork bones) stock.